Drive Icon Changer is a small, portable (no need to install) and convenient utility that will let you customize the icons of your hard drives. You can select a different icon for each of your drives, or use the same for all drives. 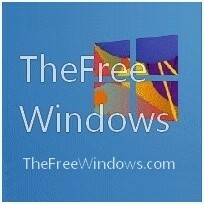 In TheFreeWindows version the program includes the Windows 10 drive icons, the normal one and the system icon. When you run the executable, it will let you select a drive, select an icon, and save your choice. The program copies the icon file to the root of the selected disk and creates an “autorun” file that instructs Windows to use this icon for the particular drive. Note that some antivirus programs, like Avira, may stop the creation of an autorun file in a drive. If this is the case with your antivirus program, you need to disable it before you let Drive Icon Changer save your customization.